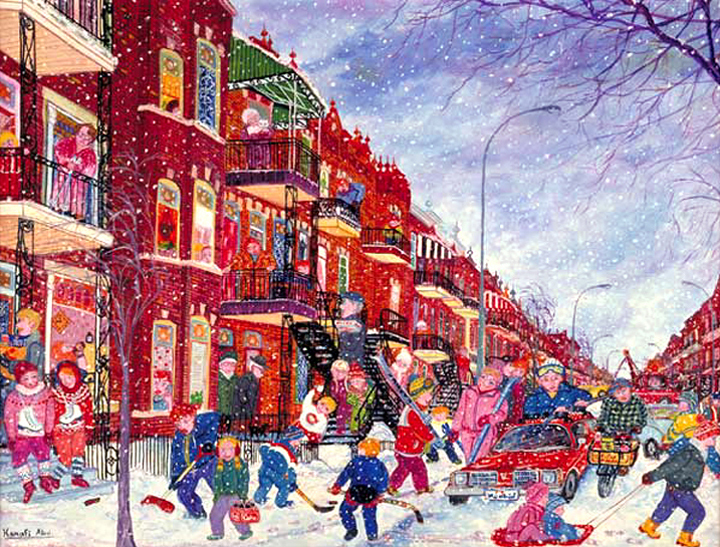 A new edition of Greetings card reproduced by Éditions Poinsettia on the painting " Rue Saint-Denis, Montreal " of Hanafi. 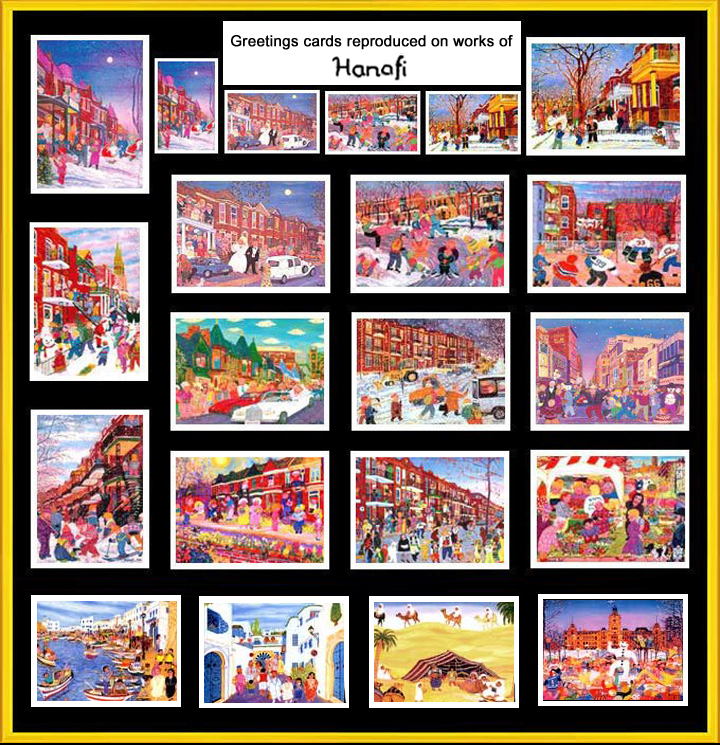 Size of the Greetings card : 20 cm x 14 cm (7,7/8" x 5,5/8"). 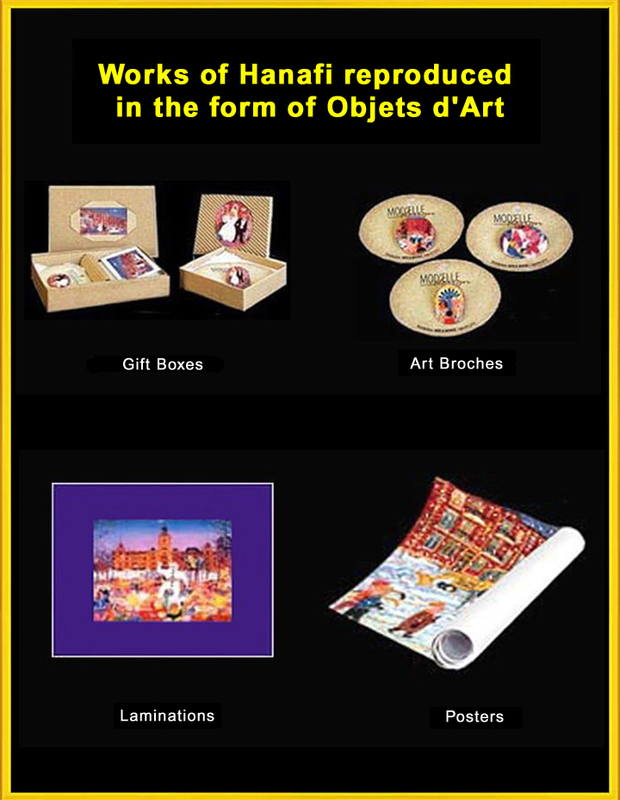 For information, this painting was a part of the exhibition " The Lands within Me " organized by the Canadian Museum of Civilization, and which welcomed beyond 200 000 visitors. 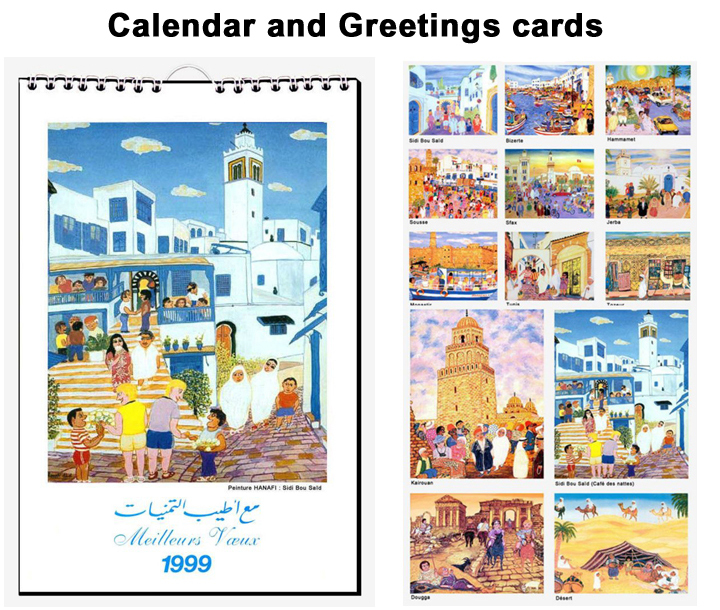 NOTE : All the old reproductions on the works of Hanafi, a part of which is visible below, worth namely: the Greetings cards, the Postcards, the Posters, the Calendars, the Laminations, the Gift Boxes, the Art Broches, the Art book " HANAFI : Montreal... 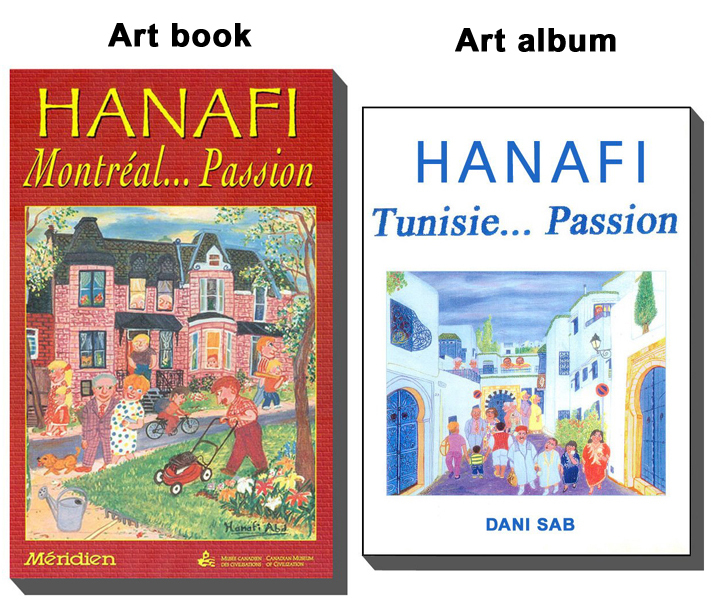 Passion " and the Art album " HANAFI : Tunisia... Passion ", are quite sold.